Pakistan Meteorological Department officials warned that Thursday and Friday would also remain very hot as the temperatures would remain in the range of 39-41 degrees Celsius. Blaming the suspension of sea breeze for the persisting hot weather in the city, weather pundits said winds from the north-westerly direction turned the city into a "hot oven" in afternoon. However, with the resumption of south-westerly winds or sea breeze in the evening, the weather turned a little moderate due to drop in the temperature. "Weather in Karachi remains moderate or even pleasant in the summers due to the sea breeze, but when this breeze is suspended for a couple of days, the temperature in the port city rises to unbearable limits," an official of the local Met office said. 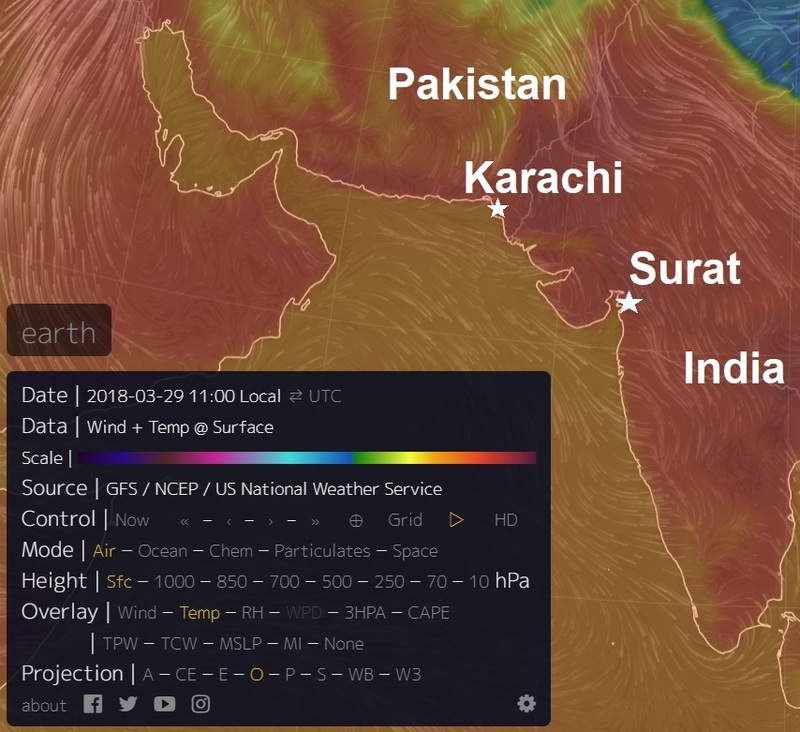 Karachi Met office Director Abdur Rashid said the weather would remain "hot to very hot" over the next couple of days, but he insisted it was not a heat wave. "Today the temperature remained 40.5 degrees Celsius, which is very hot keeping in view the change of wind direction and the suspension of sea breeze, but we should keep in mind that Karachi has witnessed even warmer days in the month of March previously. The record of the highest temperature in Karachi in the month of March is 42.2C, which was recorded in 2010." Insisting that the current spell of hot weather was not an ideal heat wave, the Met Department official said people should take necessary precautionary measures while going outside and working under the sun. He added that people should keep themselves hydrated and cover their heads under the open skies to avoid any complications. According to the official, the weather would start turning pleasant on Saturday with the resumption of south-westerly winds but he added that such types of hot spells would continue in the coming months in Karachi. "The weather would remain hot and people would have to endure more such hot spells, even moderate to severe heat waves in the months to follow. The best option is to take precautionary measures while people should plant more trees in the city." Weather experts and environmentalists believe that more heat waves would be experienced in the coming years in Karachi due to climate change as the temperature of the Arabian Sea is on the rise and other climatic conditions are also affecting the weather of the coastal city.